It has been a little while since I last posted on the blog – we tried to convince him that it was for the best but he insists on subjecting his thoughts on the world – because I have been spending a little time with my extended family (monks actually get some vacation time) and doing some mundane (but time consuming) shop projects. With my first post back, I do want to draw your attention to what I believe is a worthwhile project. If you have spent even a small amount of time around the online woodworking community, and the woodworking community in general, it is a pretty generous lot. 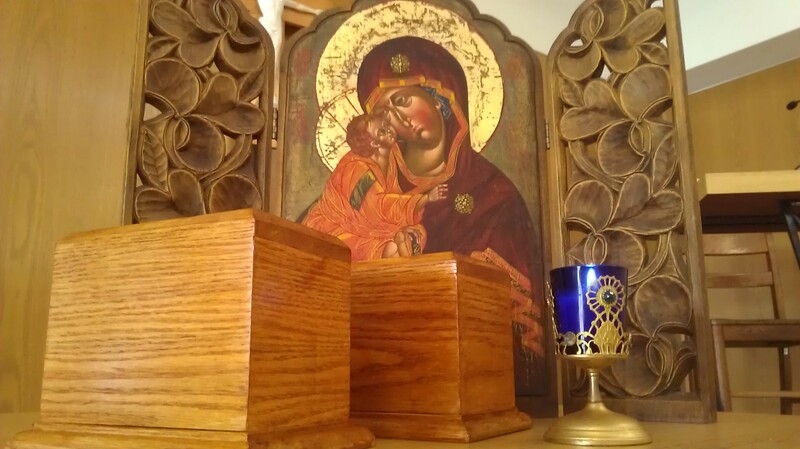 Countless woodworkers spend time building projects for civic and religious organizations for auctions or needed items. 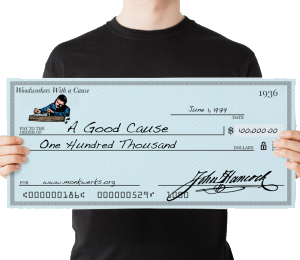 The Woodwhisperer began the Woodworkers Fighting Cancer campaign, as well as Steve Ramsey donating the proceeds from selling his projects to Make-a-Wish – you should announce that Whirligig Wars is donating $10 to Make-a-Wish for each entry it receives. There are the countless woodworkers who without fanfare do their part to make the world a better place. On her blog, Wilker Do’s, April Wilkerson drew attention to Garden of Innocence. They are an organization that claims abandoned and still-born children who died, so that they may be given a worthy burial. The organization and April’s call for help struck a chord with me. One of my responsibilities in the monastery is to build the caskets in which we bury the deceased monks. I have been performing this Corporal Work of Mercy for the past 7 years. And so I decided that I wanted to provide a couple urns in response. It is an odd sensation building caskets and urns. 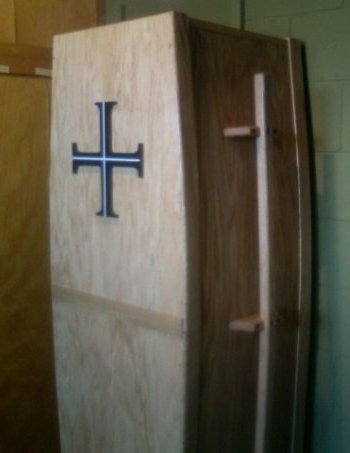 The caskets I build are meant for my brother monks, men I have known for a significant portion of my life. 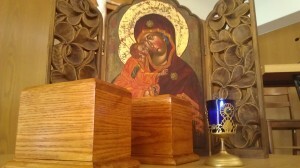 As such there is a great deal of sadness; I felt very similar emotions when building the urns for the children. I do not know them, but knowing they are innocent children who through grief or neglect could not be properly laid to rest was a powerful motivator to do something to honor their human dignity. 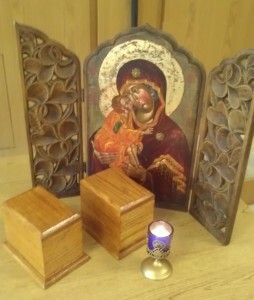 Yet because of my belief in the immortality of the soul and the resurrection of the dead, there is value in doing something for these children. Knowing that my talents can in a small way be a part of it helps me to understand evil in the world. If you have any woodworking talents, I highly encourage you to participate. If not with Garden of Innocence, then perhaps a local organization that does something similar.